[box]Today’s amazing mentoring story is written by our Over My Shoulder Foundation (OMSF) resident poet, Marissa Ranahan. Marissa sheds some light on the anti-bullying work being done by an 11-year-old named Elayna Hasty. Young minds do great things, and it is part of the work we do at OMSF to help YOU to start thinking about those first glimmers of brilliance in your own career – and recognizing them in young minds waiting for mentors. Waiting for someone to watch over their shoulder. Let Elayna’s spark ignite your inspiration for mentoring and don’t wait to make Mentorology (the art and science of mentoring) a part of YOUR life today. 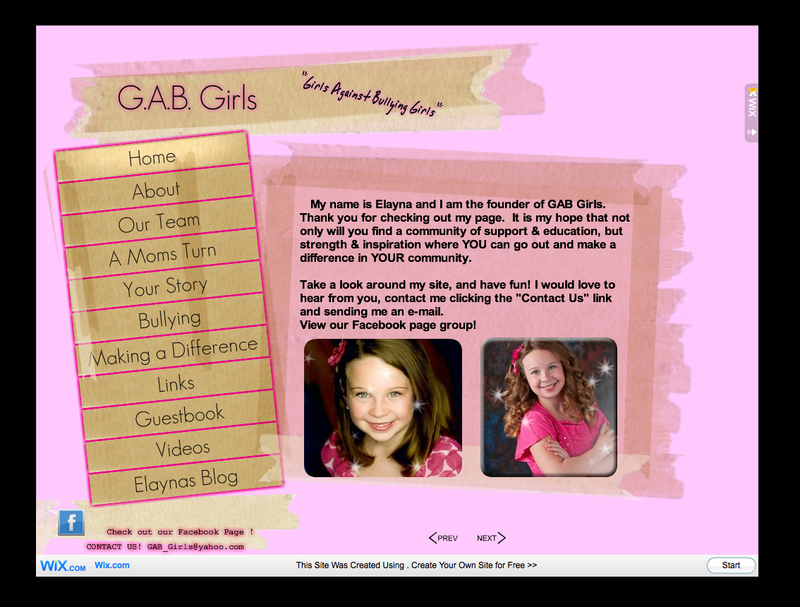 “Bullying has turned into a battleground of intolerance, and I want girls to know that anything that they set their minds to can happen” explained Elayna Hasty, the founder of the website and organization “GAB” Girls. “GAB” Girls, or “Girls Against Bullying Girls” is a website entirely dedicated to helping girls overcome the countries’ bullying epidemic. The website displays accounts of girls who have been bullied and their progression towards self-confidence. 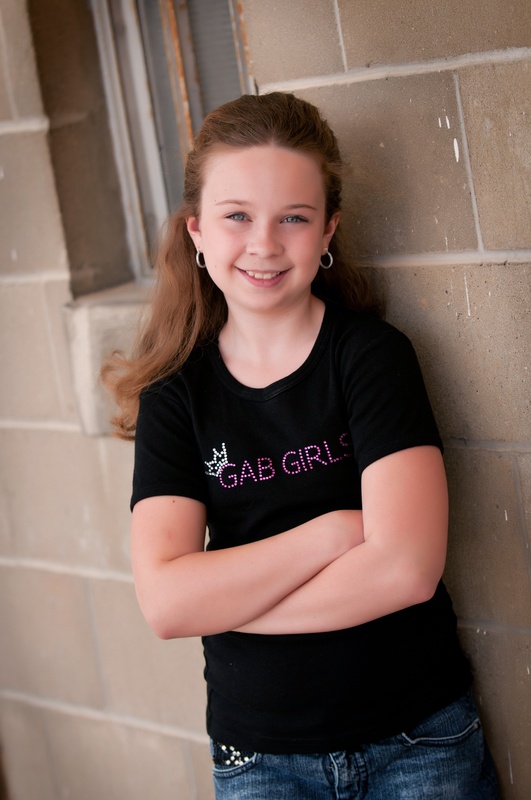 GAB Girls features tips for parents and girls who are struggling with bullying. The website’s guest book features words of praise from girls and parents all over the world. What started as an idea has become a safe haven for an increased number of young women. The comments are united with the love of Elayna’s positive message; it is possible to overcome bullying. The kicker? For developing this touching movement, Elayna Hasty hasn’t even reached middle school. 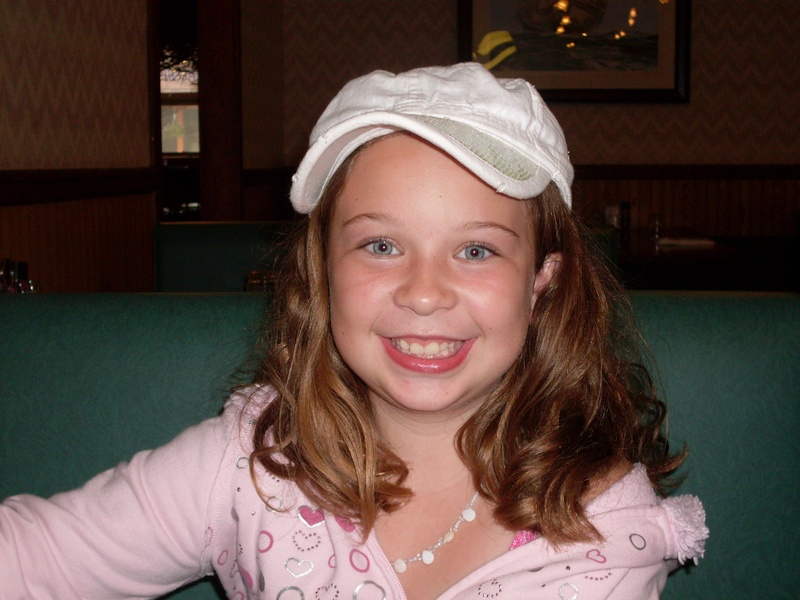 At the tender age of eleven, Elayna’s intellectual personality shines brighter than her visibly beautiful looks. For a competitive cheerleader and avid church volunteer, Elayna has a mature head resting on her shoulders. In the future, Elayna aspires to be a veterinarian or pediatrician. Elayna’s drive for helping others shows in her future aspirations. However, inside this bright and bubbly personality, Elayna has her own personal inspiration behind the development of GAB Girls. Through her inspirations, Elayna has reached out to Facebook where users can virtually “Like” her GAB Girls page. The GAB Girls Facebook page features positive quotes and inspiration for young women and adults. The page has acquired likes from different people around the world. The positive statuses are something for girls to look forward to when they open up their news feed, as a reminder that they do not fight their bullying battle alone. As the comments and likes continue to progress, Elayna has become increasingly proud of her GAB Girls accomplishments. The pride comes from every comment or like that she acquires on her page. Every comment she acquires makes her beam with pride. Right before her eyes, she is witnessing a generation being touched by her message. “Bullying is a real problem but it has very real solutions. Sometimes girls feel down and not always confident in themselves. I want girls to know they are uniquely beautiful both on the inside and out” she says. Don’t forget to visit the GAB Girls website! Elayna Rocks! She is such a beautiful girl inside and out!! We are So Proud of our “Moodylicious Girl Elaya” !!!!! Andrew Shapter loved music, people, storytelling. He brilliantly pulled our small ideas & made them grand. We lost Andrew recently & we will..
Superbowl Sunday ! Sports teams can teach so much about mentoring – loved writing this piece for HuffPost about New England Patriots- Tom Brady.. Celebrating calf # 4 ! With only a few hundred of these beauties left on Earth… baby # 4 is major news! Last year there were no new babies..
One of our favorite #TBT MENTORING stories – The mighty Doyle Bramhall ll story is mesmerizing! https://www.huffingtonpost.com/entry/a-slow-hand-a-blues-man-a-rich-man-mentors-and-me_us_5845b863e4b0e0184289efb4..
© 2019 Over My Shoulder Foundation.